This product cannot be ordered at the moment via the web. • Meditull Jelonet Dressing consists of a leno-weave fabric of 100% absorbent cotton thread, impregnated with white soft paraffin and is used as a primary wound contact layer. Meditull Jelonet Dressing consists of a leno-weave fabric of 100% absorbent cotton thread, impregnated with white soft paraffin and is used as a primary wound contact layer. 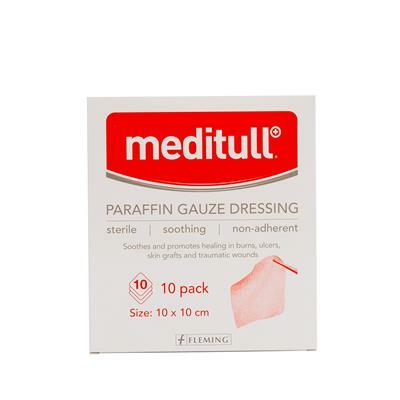 The dressing and the paraffin helps to reduce the adherence of the product to the surface of a granulating wound. © Copyright 2019 Fleming Medical Ltd. All rights reserved.